Geotripper: Sharing Science in the Local Community: What Ideas Do You Have? Sharing Science in the Local Community: What Ideas Do You Have? How often do you wish you had a blank slate? The term can have many meanings and contexts, but most often it means the chance to start over, or to start a project free of restrictions. That in essence is what you see in the pictures in this post. 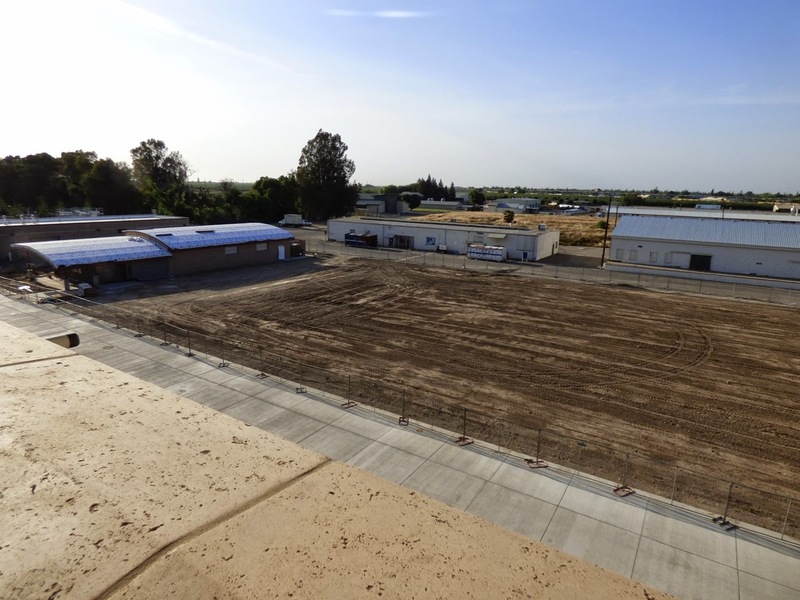 After 10 years of uncertainty and doubt, we have received the green light to begin planning and designing the last component of our Science Community Center at Modesto Junior College.. What you see in the pictures above and below are views of what is almost literally a blank slate. It's made of clay (and silt), the same material that slate starts with, but it hasn't been compressed yet. It the footprint of the future Outdoor Education Laboratory. 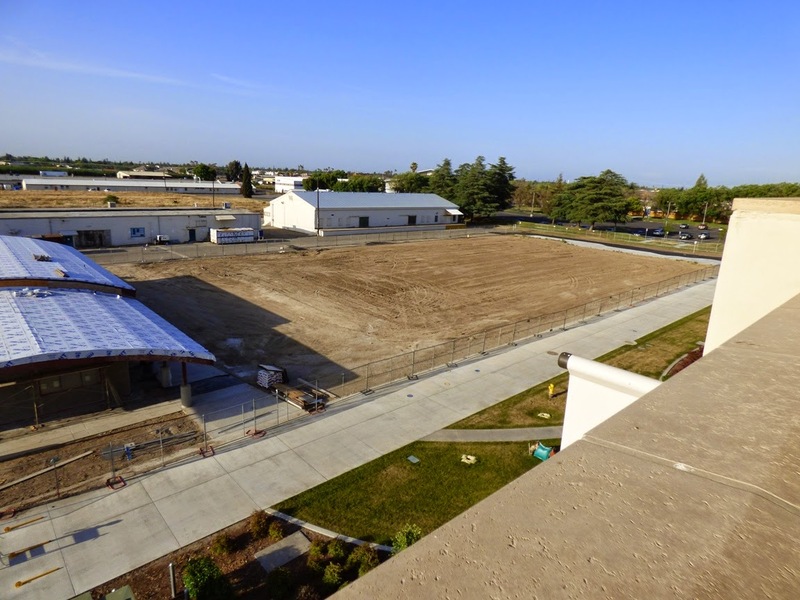 This last piece of the puzzle is part of a science education complex that includes teaching laboratories for biology, astronomy, chemistry, physics and geology, a planetarium, an observatory, and a wonderful new museum based on the natural history of the Great Valley in California. The building on the left in the picture above is a new museum storage structure, and the buildings in the background are condemned and will be removed, probably to become an eventual parking lot. We were worried for some time that the parking lot was going to be put on the site of the outdoor lab. I hate committee meetings. A lot. I find that many of them don't accomplish much. But today's meeting was fun. It was a gathering of professors and museum staff to decide the shape and nature of the Outdoor Education area. We had a lot of discussion about how it would be laid out and what it would include. It is meant to be an area that will be utilized by students for research, and by the school children of our region to learn about the biology and geology of our region. Our only restriction is that because of the horrific drought, we can't include new water features. 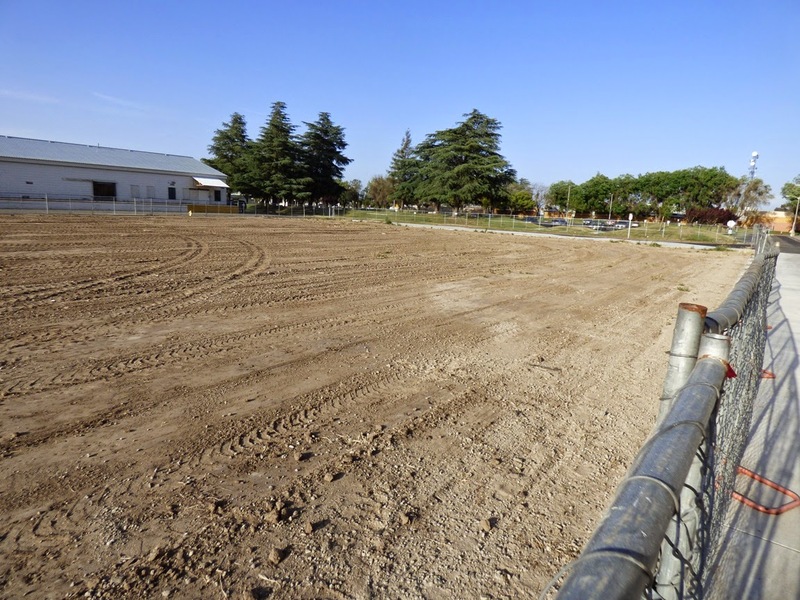 The water restriction was a sour note (even though it was understandable), but it turns out that a pond is already in place, and it's not really using up any water. It's actually capturing used water. 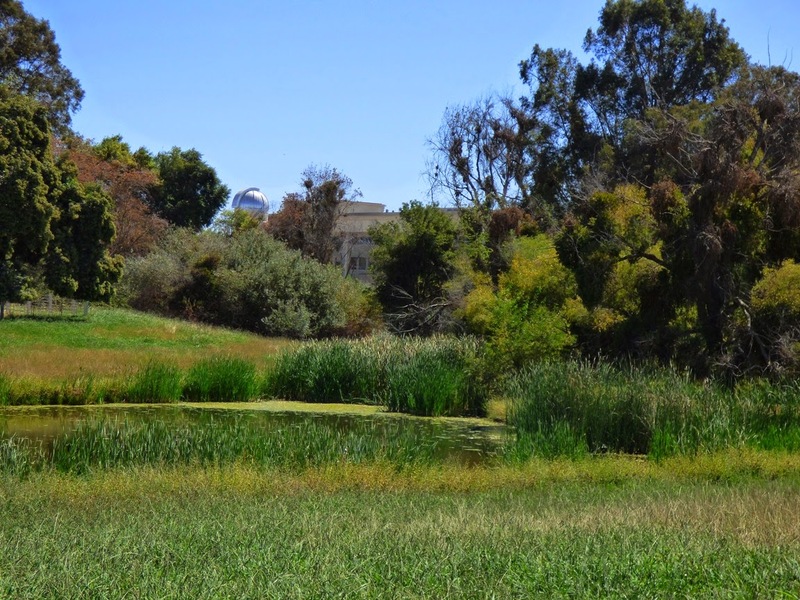 If you've followed my blog for any period of time, or if you follow my birding adventures over at Geotripper's California Birds, you would know that an old drainage pond exists just a few hundred feet away from the future outdoor lab, and that it is shaded by mature oak and cottonwood trees. We will probably adapt it for use as an education feature. So my question to you is this: What would you do with a barren stretch of ground, an adequate (but not infinite) budget, and a commission to enhance the natural science education of our students (both young and "mature")? What would you include in the plans? We had some long discussions today, but I'm wondering what we might have missed. What would you do? By the way, if we seem somehow privileged to be doing this, it might help to know that all of these wonderful improvements to our campus are not funded by the state or the federal government. They were paid for by the voters and taxpayers in our own economically distressed community. We have one of the highest unemployment rates and the highest poverty rates in the entire country, but our citizens saw their way to support the future of our children by producing some of the finest teaching facilities possible, not just in the sciences, but across the entire college. I'm really proud of my community these days. Native plant nursery? Local chapter of CNPS might be interested in helping? Create a vernal pool? No need for permanent water there; it fills itself after a rain. The native plant nursery might come in handy to grow the plants and seeds needed to make it work. Bring in some assorted boulders from foothill/mountain construction projects to see and maybe even work with (making stone tools?) a variety of local rocks, without having to do a long-distance field trip? Yes, the trips are more fun and educational because you get to see the setting, but something near home is easier to do with a bus full of 5th Graders and would fit the museum theme. Bingo, anonymous! You hit most of our proposals like a checklist. We almost surely will have each of the things you suggested, plus a few more. I recommend a small weather station with data recording so that daily, monthly and annual graphs of temperature and rainfall can be plotted and easily interpreted by visitors, plotted against climatological average values for the site or running means of some sort. Of course, it would require 30 years to establish a precise climate 'value', but the science and math professors could begin aligning the local data with the running values from the airport or other nearest "climate" site, helping visitor to see how math and science work together?